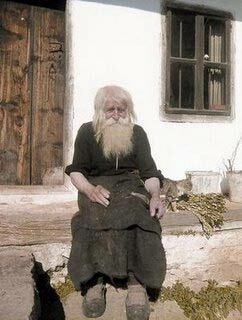 This is one part of the film “Mite” produced by the Pokrov Foundation in the year 2000, showing the Bulgarian Elder Dobri, who is considered a holy man of God. 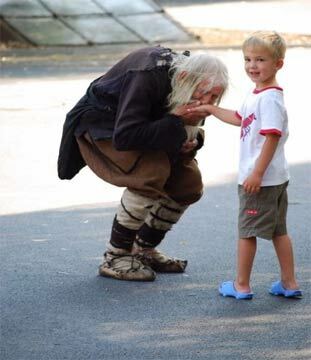 “Four years ago, I had the pleasure to meet him and directly delight in his innocent kindness and simplicity. 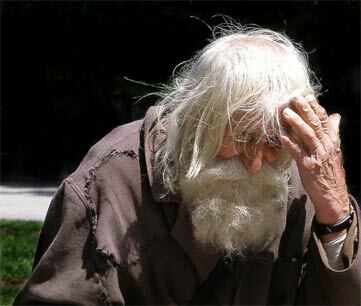 People from Sofia know him as Elder Dobri Dobrev from the village Baylovo. 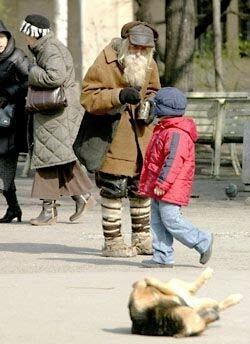 He is a 96 year old elder who could often be seen standing in front of the church St. Alexander Nevsky or St. Methodius and Cyril and their five disciples with his metal cashbox and begging for money. 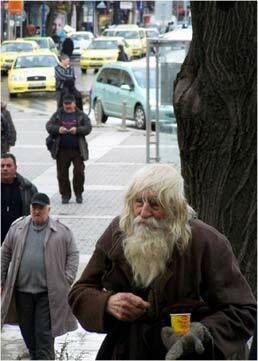 He gives the collected money for renewing of the monasteries and churches or to poor people. I met him at the Church of St. Kyriaki, when I was attending the Holy Liturgy which was led by several bishops, in the presence of the graceful relics of St. Stephen Milutin the King. Simply, he entered through the church gate, stood in front of the relics and, as a young boy, made a few deep bows [prostrations]. That was an amazing scene, especially because of the feeling of unworthiness when God crosses our life-path with one of His righteous men. 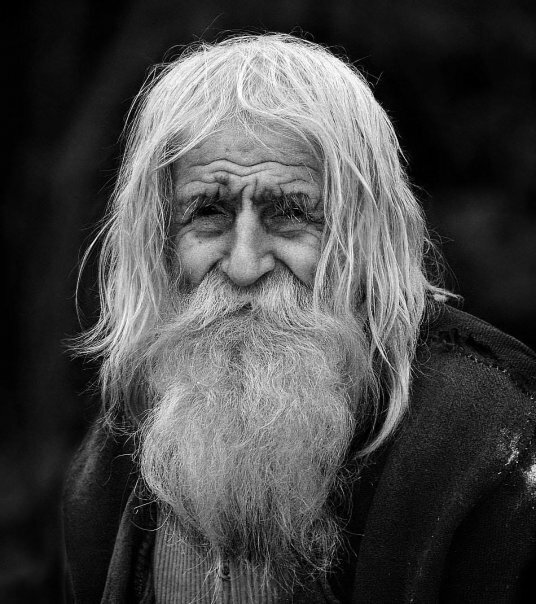 Kind eyes, pleasant smile, humble look… all that makes him bright in the eyes of those who have met him and without hesitation hurry to get a blessing from this sagacious elder. He wears traditional shoes from raw skin and he all the time rushes somewhere, but he never uses modern transport vehicles. 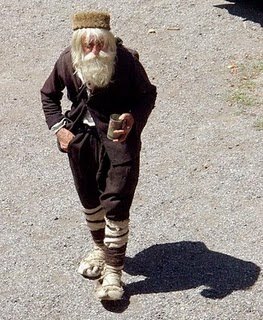 Simply, he loves the ascetic walk. He eats whatever the good people give him and he never repines for his condition. His face shines with heavenly light which at one point of the moment makes people unconsciously to understand that he really is like someone out of the Bible. 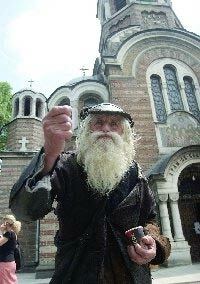 This entry was posted in Miracles and tagged Bulgarian holy men, Dobri Dobrev, fools for Christ.